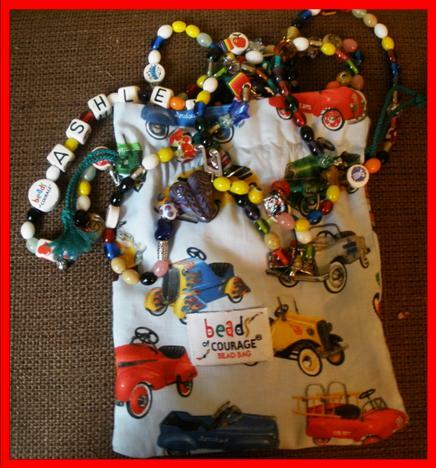 Would you be interested in making some bead bags so that our wonderful children who are enrolled into the Beads of Courage programme have a lovely bag to carry their beads in? Some of our children have upwards of 2,000 treatments during their treatment journey and their precious beads become very heavy and they need somewhere special to store them. 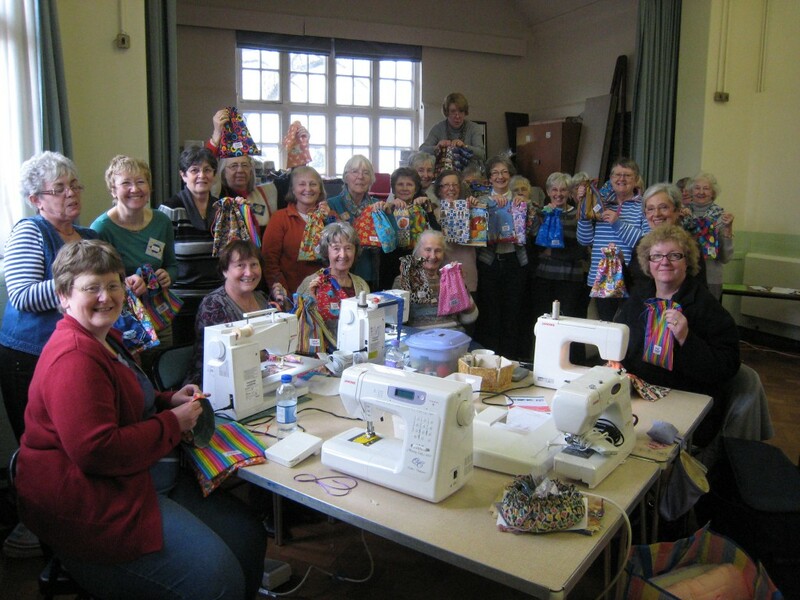 If you enjoy sewing and would like to donate some bags to our children on the Beads of Courage programme, we’d really appreciate your help. It would also be nice to include a message of encouragement for the child who will receive the bag. Fat Quarters are great for this project. There will be a small scrap left over. Focus Fabric – Cut two 9″ x 12″ – With RS together sew a ½” seam on both long sides making a tube. Press seams open. Lining Fabric – Cut two 9″ x 12″ – With RS together sew a ½” seam on both long sides making a tube. Press seams open. Turn lining right side out and place inside of focus fabric (RS together). Line up seams and sew a 1/4″ seam around the top of the tube. Place tube on the open arm of the sewing machine and sew a seam at 2″ from top. When you get to the two seams back tack about 1/4″ across the seam. Sew another seam 2-3/4″ from the top back tacking again at the seams. (This makes the seams stronger for the cording to be pulled through. Using a stitch unpicker, pop the seam between the two back tacks on focus fabric for cording to be pulled through.